I might be a tad late posting these photos from summer but the memories are still fresh in my mind, even though I’m sitting here cozy and warm with the snow piled high outside. I couldn’t not share the delicious food photos that I had with Chen one day. It started when I had a particularly rough day at work and decided that the only solution to my problems was alcohol and who better to help me imbibe but Chen? Drinks down Corydon ended up turning into a full meal and I’m glad it did. 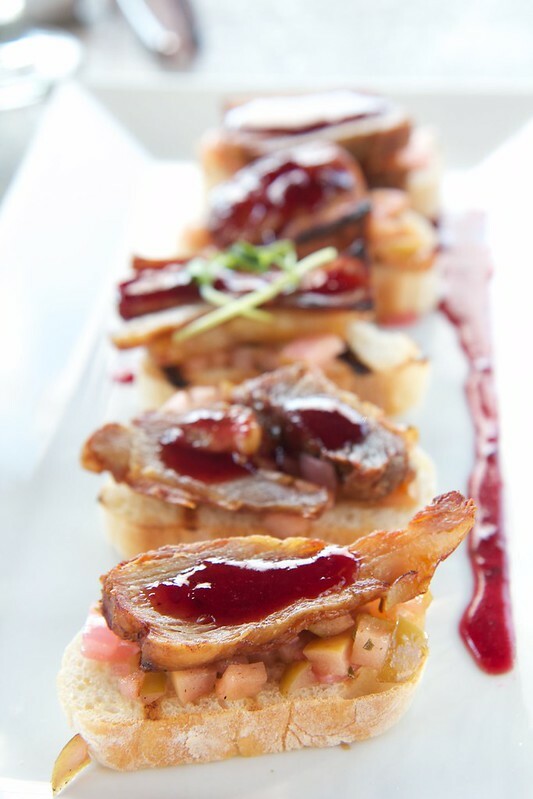 We started off with pork belly appetizers on crostini and some sort of cranberry reduction. We also had their carrot and ginger soup. I’m not normally a huge fan of carrots (I know, I know, who doesn’t like carrots? Me! That’s who), anyways, where was I? Yes, this soup was delicious, even with all the carrots. 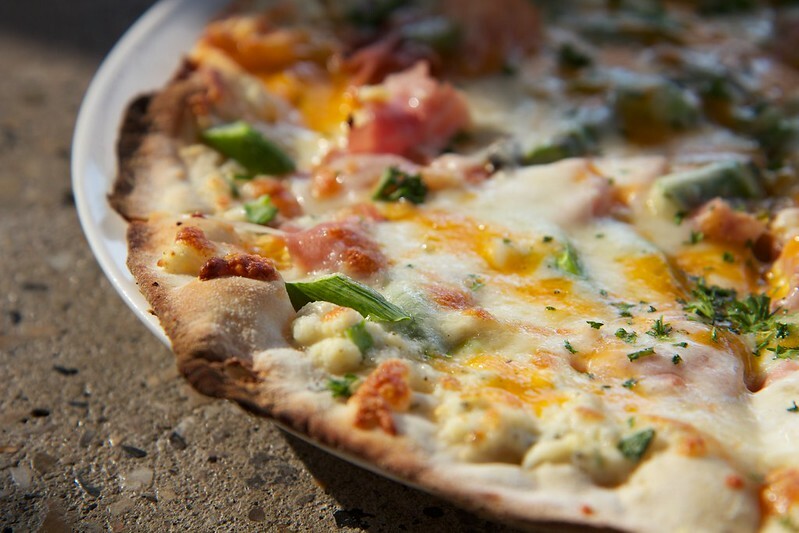 The best part of the evening was the amazing asparagus pizza we had. The crust was light and airy, the asparagus was perfectly cooked – which reminds me that I really need to try out this recipe. The service at The Loft was excellent! We got a chance to chat with the proprieter and it really felt like a family restaurant (with delicious food) with all the care and detail that’s lacking in other restaurants down Corydon. The family restaurant vibe coupled with a great location down Corydon makes it awesome. This entry was posted on November 12, 2012 by debbe. It was filed under Food, Friends and was tagged with corydon, crostini, delicious food, dinner, drinks, Food, the loft, Winnipeg.